Original painting, signed. Not a print or reproduction. 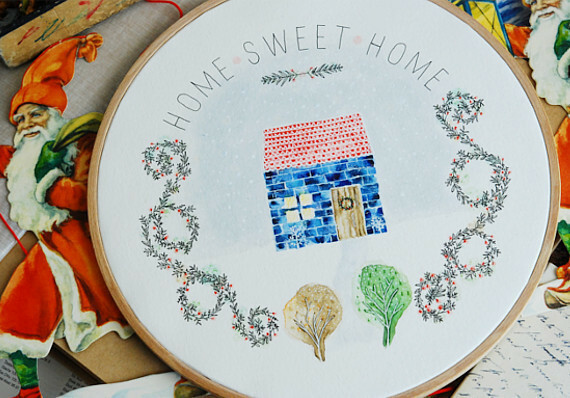 This 100% original embroidery hoop art is perfect for anyone interested in watercolor painting, camping, tribal and adventure. Is a perfect idea for a nursery or kids room decoration! No optical brighteners, therefore, its natural white color will not yellow with age. Archival value is ensured. Eberhard Faber metallic gold powders.